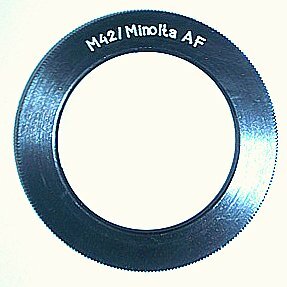 Can those of you with m42 adapters take a moment to post a link to where you got your adapters (maybe a photo of the adapter in the thread would make things easier too), your focus-to-infinity results, and any other comments about the adapter itself? I'd just like to have all the information in one place for now. I can focus to infinity. Tell me if you need some more info. Thanks! But what I wanted to do was just collect the information for the different brands of adapters, where to get them, the price, and what the adapters themselves look like under one single forum thread for easy reference (since there isn't a specific place to put reviews as of yet). Yes but there was info about the adaptor,brand and the price, and where to get it. Even if it is from rugift, I bough mine from ebay for 20usd. But the brand and adaptor is exactly the same as the rugift. So in price you should write 20usd (if you do a kind of list). I got mine from rugift with my Peleng lens. The adapter fits all my minolta bodies, but not my 7D. Seems that there's less tolerance nowadays. Mathieu, I am very interesting in the Peleng too. This and a macro lens will be my next buy. Do you have some sample photos taken with this Peleng? Thanks Samir for the info, so a Peleng will not be so good then,hmmmm. 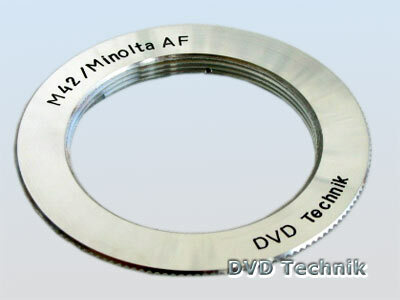 Maybe a Zenitar 28mm, that was my 2nd option too. Anyway, thanks for the data I iwll look into it. Tabulated results for members who have tested m42 adapters with Minolta DSLRs. Anything I should add to this? Thanks for all those who have helped. 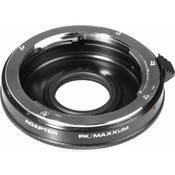 Notes: does not fit 7D, but will fit other MAF cameras. I will add this to our lens section as soon i get some time. Not sure if anyone has mentioned this one; B&H in New York has one as well, it's simply called "general brand" adaptor. I'm thinking of getting this one as I've got a few other things to order from them as well . . .
That's the one dstar reports as working quite well (I updated the brand name in the list). I'll probably end up getting mine from there...BHphoto is close enough for us canadians! Let us know if you decide to get it, and if it works out for you. That's good to hear! I've always had great luck with B&H, both by mail-order and instore. Nice service. I'll probably go ahead and order the adapter sooner than later - I'd love to put some of my m42 zeiss glass to work again! One of these days I swear that I'll get around to finishing my online galleries . . . . . I may add that my adaptor fits perfect in my 5D, maybe because the 5D mount is made of plastic? That may be the reason some have fitting problems in the 7D (metal mount)?